Do you have a question that is specific for Malaysia and you were not able to find an answer in one of the popular webpages like reddit.com or Quora.com? KamiBantu.org is a new webpage that is launching now in Malaysia. KamiBantu.org is a network of verified experts who provide high quality advice to Malaysians. What makes KamiBantu.org better than a forum? 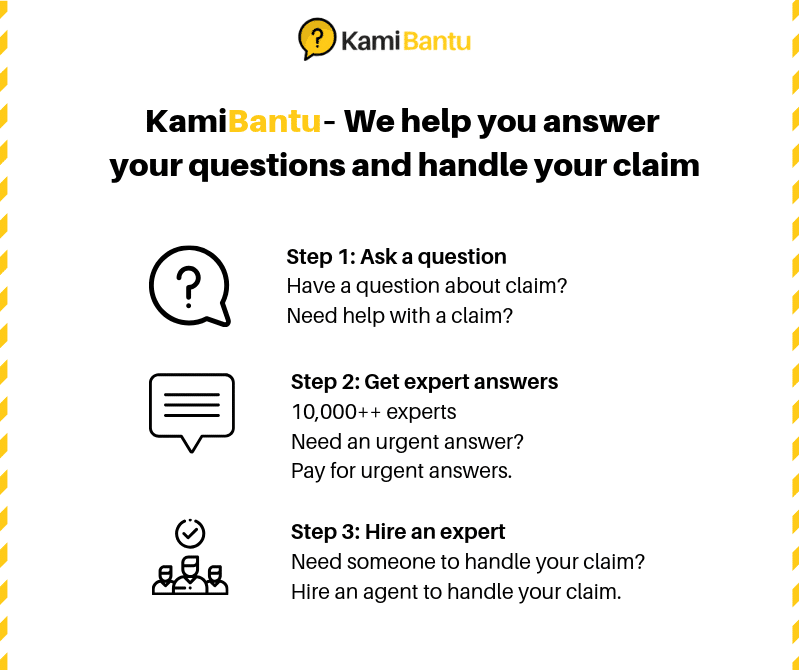 Only verified experts or licensed insurance agents can provide answers on KamiBantu.org. This ensure that the answer you get comes from a very reliable source and you. Get answers from Malaysian insurance agents, lawyers, doctors and industry experts. KamiBantu.org is a Malaysian webpage, with Malaysian experts and Malaysian topics. For difficult or complicated questions, you can give a Money Reward for your answer. Not only increases it the chance for an answer, but you get different views from experts. Liked the way an expert helped you answer your question? Check out the profile of the expert and reach out to find out what it will cost to hire the expert. If you fell that the answers you have received form experts are not good enough, you can claim back 100% of the Reward. Step 1: Users fill out a form and ask public questions that anyone can see. Step 2: Experts constantly review the questions and answer questions that they are knowledgable of. The answers can be viewed publicly. Step 3: Do you need an urgent answer? Upgrade your question to a premium question by putting in a reward for the experts. Optional Step 4: Have a follow up question or need to comment on an answer from an expert? Just reply back to the expert on the question page. Malaysia's first curated and verified expert forum to help Malaysians find answers and help.